Amazon's Kindle Fire HD will get a Snapdragon 800 processor, 2560X1600 resolution and Android 4.2.2 Jelly Bean later this year. Amazon's Kindle Fire HD may not be as successful as its competitors from Samsung or Apple, but that doesn't mean it won't receive any new updates as new hardware becomes available. While not official yet, it seems the next generation Amazon Kindle Fire HD tablet is already being benchmarked. If analyzed carefully, the information provided by GFXBench can reveal the fact that two different Kindle Fire HD tablets are under development. The main difference between the two is their resolution, the KFTHWI offering only 1,920X1,600, while the KFAPWA goes as high as 2,560X1,600. 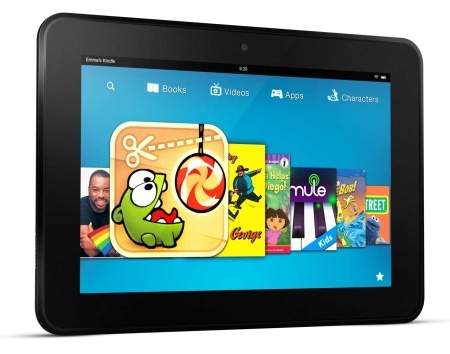 If the above proves to be true, Amazon may release a 8.9-inch and a 10.1-inch Kindle Fire HD. Unfortunately, nothing is official yet and a lot can change until the official announcement of this new Amazon tablet.